Last week we reported that residents of New Jersey were about to enter the 9th circle of financial hell as the state, fast approaching a fiscal, economic and budgetary catastrophe, was preparing to raise taxes on "almost everything." But if New Jerseyans are approaching a tax inferno, residents of Illinois are already there. According to a recent analysis by WalletHub, Illinoisans pay $8,300 per home in various state and local taxes, more than any other state in the nation. 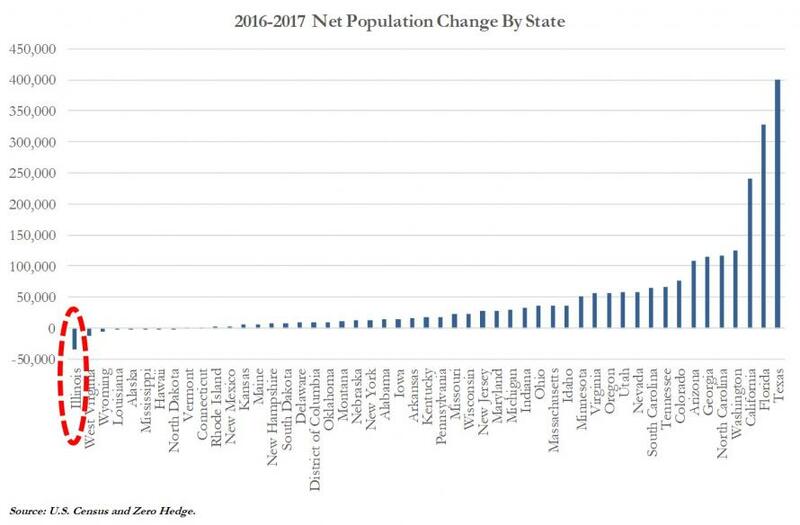 In the annual ranking of taxpayer burden by state, WalletHub found that Illinois households give up just under 15% of their annual earnings to pay state and local taxes, over 1 percent more than residents of the second highest taxed state, Connecticut with 13.85%. Of course, they also pay federal taxes on top of that. 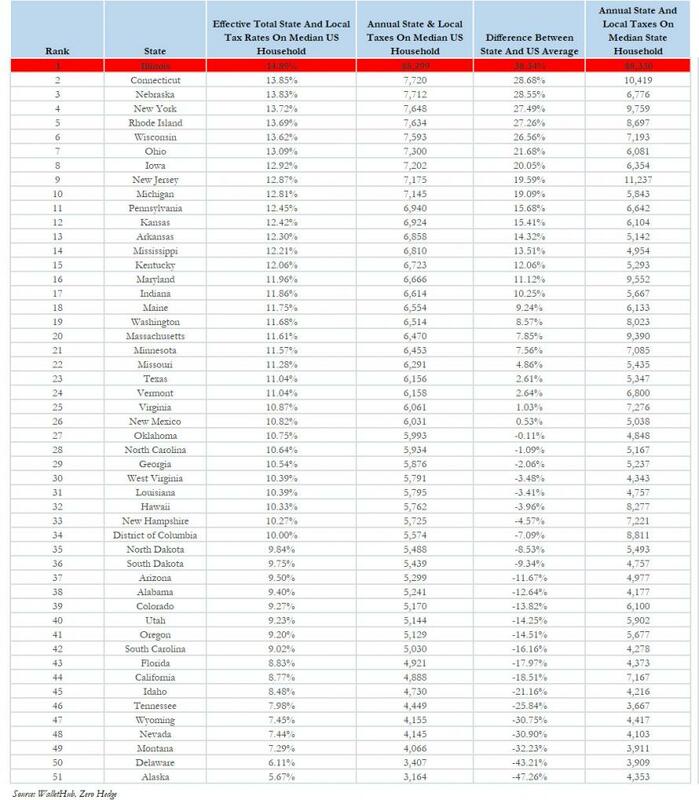 Putting these numbers in context, Illinois residents - apart from being the most highly taxed in all the US - pay three times more in state and local taxes than residents of the lowest taxed state, Alaska, and about 40% more than the US average of 10.8%. While residents of Illinois are no strangers to financial hell - this is the second consecutive year that Illinois was ranked top in the nation in weight of local tax burden - it hardly makes it any more palatable that they keep getting screwed by their financially incompetent leaders. Worse, the state's financial doldrums come after another $5 billion income and corporate tax hike in 2017. Meanwhile, wages in the Prairie State refuse to rise: according to the Bureau of Economic Analysis, wage growth in Illinois in Q3 2017 was only 0.6. As Illinois News has suggested, one potential explanation for this is that many Illinoisans have simply stopped working. A February report by Moody's said Illinois is at a 40-year low for workforce participation. ... it also dropped to 6th most populous state in the US behind Pennsylvania according to Illinois Policy. 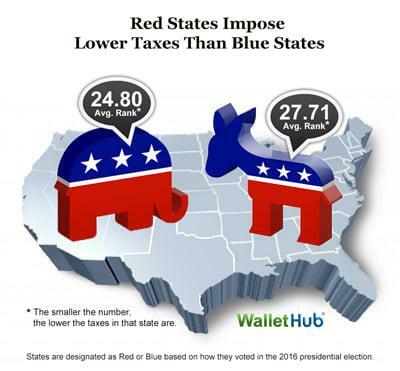 Finally, while we will have more information and a broader breakdown of state and local income taxation across the US tomorrow, it is worth noting that - perhaps ironically - red states impose materially lower taxes than blue states.